Shegogue Brew: Going All Grain Series - Part 1 - What is All Grain? 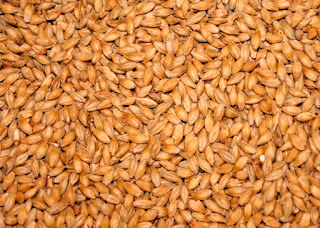 Going All Grain Series - Part 1 - What is All Grain? A friend of mine sent me an email asking about what was needed to get into All Grain (AG) brewing. I sent a lengthy reply, but thought that some of this info could be helpful to other homebrewers out there. In this three part series I hope to discuss what AG brewing is and why to, or not to, do it. In addition, I will discuss the different equipment upgrades you need vs what you want to effectively achieve your AG goals. A basic understanding of AG will also help people follow my blog more easily in the future. All Grain Brewing is the process of producing the sugary wort for your beer from grains rather than extract. In Extract and Partial-Mash brewing, all or a large portion of your sugars come from a dry or liquid malt extract. These sugary extracts come from AG manufacturers who perform a mash with the grain to convert the starches to sugar. The sugary liquid is then boiled in a vacuum environment to reduce the % of water to about 20% in Liquid Malt Extract (LME) or 0% in Dry Malt Extract (DME). In Extract you add the powdery DME or Syrupy LME to water to create wort. For more info on the technical side of mashing, and to provide as a reference for some of the terms I will use from here on out, I highly recommend you get a copy of How to Brew by John Palmer. (For you cheapos you can read the first version for free online, but realize some info is outdated). So why brew with grain when you can just use DME or LME? AG provides the brewer with more control over the final product. Sometimes you want to make a beer where the use of only extracts will not produce an acceptable example of the style. These beers require certain grains that cannot be steeped. 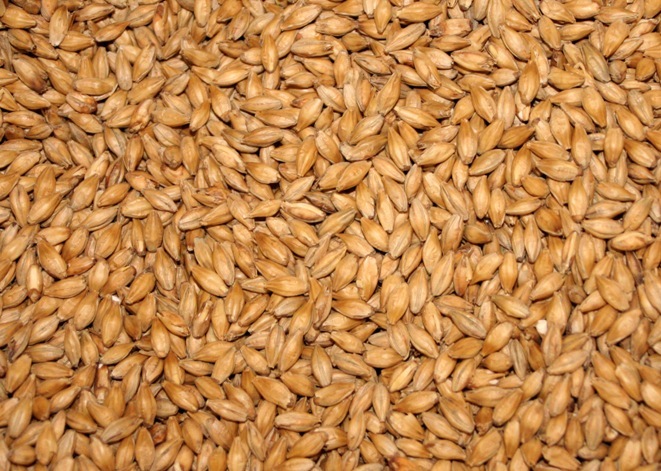 An example of this would be a Munich Dunkel, whose grist contains a majority of Munich Malt. Some homebrewer stores sell a 100% munich extract, but it can be tricky to find. Since you need munich for most of the grist, a partial mash is just not feasible (since you would essentially be making an all grain). During the mashing process there are different forms of sugars created depending on the mash temperature. The fermentability of your beer depends on the sugar make up of your wort. With all grain you can choose the mash temperature and time to create a wort whose fermentability is higher or lower than the average extract. These can allow the brewer to shape a beer into drier, or maltier depending on the temp. Another reason to go AG is that it is fun! Making beer from grains increases my brewday time (by about two hours) and gives me more enjoyment from the hobby. It also allows for more tinkering and adjusting. The same reasons I just mentioned can also make AG more challenging to fit into your busy schedule, and more time in recipe design and formulation. This is a hobby, so do with it what YOU want, Or what your spouse will let you get away with!